You don’t have to do a complete overhaul to revamp your business and increase your car counts. And, whether you’re strapped for cash, or not looking to make a lot of changes any time soon, it certainly helps to make some improvements to not only enhance your wash’s quality and impress customers. Dan Foor, owner of two Magic Wash Car Washes in Middleton and Madison, WI, knows all about on-site improvements. He recently added on to one of his locations and has the following advice for other owners and operators. “You really have to step back and take a look at your wash. Look at it from a customer’s point of view and see it through their eyes,” Foor says. 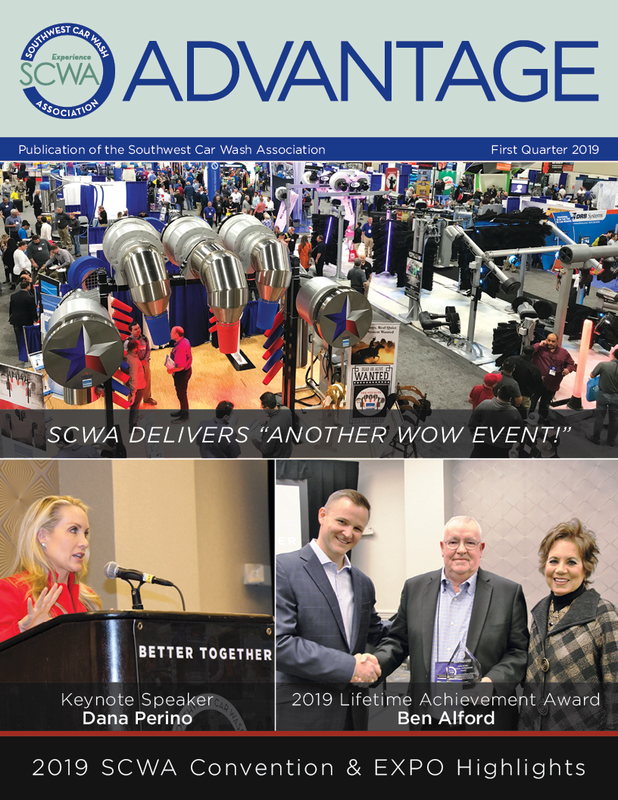 Also, according to Ted Winchester, VP of sales and marketing at Coleman Hanna, who has been involved in the car wash industry for more than 40 years, with low interestrates and very attractive leasing plans available, updating and modernizing your car wash can be simple, attractive, and make a big impact on profits and customer satisfaction. The first thing that you will want to do is give your site a new look. How do you do this in a fashion that will allow you to really get a different look without breaking the bank? Do you want to change the format? Even if you are planning on keeping the same format for the wash, the first thing you will want to do is make the outside look new. If you look online you will find thousands of ways to improve your facade. If you are changing your format to a flex service or express exterior, one thing that will give the site a new eye catching look is to add overhead vacuum post. The vacuum post adds a great look and gives your customers a functionality that they love. Consider adding new equipment for the cleaning process that will allow you to wash more volume and/or use less labor. How to you decide what pieces to keep or replace? If you are trying to wash more volume look for areas that might be weak and realize that as you speed things up the problem will only become worse. Drying: One of the best ways to improve drying is by adding a wet environment blower placed just after your rinse arch or moving to a continuous drying setup. Front and side cleaning: For cleaning, look to see if you need to add additional equipment or if a change to new and improved wash materials will be enough. Wheels: For wheels you might need to look at adding additional chemical tire applicators or new high pressure equipment that can track the movement of the wheels. If you are looking to reduce labor, look at the areas in which your employees are spending the most time. One area that you can save yourself a lot of time is in the drying process. Today with new wash material technology it is possible to add equipment that will give your cars a hand dried finish and add to the shine. Adding chemical applicators that will give your customers a great show and add to the overall shine of the vehicles. 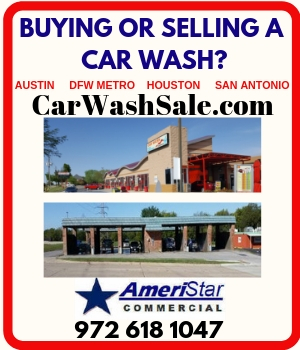 More car wash locations are trending toward customers staying in the vehicles as they go through the car wash. Look at this as an opportunity to give your customers a new experience. You can start the process with an applicator at the entrance of the wash that adds a thin layer of multiple colors of soap. You can further add to the experience by using multiple color LED lights or using a projector to display multiple messages on the front window of the vehicle. After that you can add your triple foam and it will cut through the other soap and add to the “wow” factor. Some products will add a low pH application to make the painted and chrome surfaces of the car shine. This application will usually have a different color from the previous soaps used. Then the last step is to add a multiple color paint sealant that will add a shine and protectant to the vehicle surface. Yet, some systems will just use a wax placed in the middle of the tunnel with a light that will protect the finish and add to the shine. Regardless of the process you decide to use, the main thing is you have to give a show and a noticeable difference in the end product. Is hot wax the hottest new trend? It’s not necessarily brand new to the industry, but as of late, it’s getting a lot more buzz. According to Tom Hoffman Jr., chief executive officer of Hoffman of Hoffman Development Corp. which owns 24 car washes throughout New York State said it is the best performing “on line” product they’ve ever sold. Hoffman says they offer it for $5 a la carte and sell it to 15 percent with full service washes and 6.5 percent at exteriors. adds a lot of value and gives people a reason to buy up. You can combine your menu with pay station graphics that match the menu so customers can quickly identify the packages from the menu. They can all be used to really brand and market your services. You should also create flyers or tri-folds explaining the new services and how the benefit the customer and their vehicles. The last and final thing to upgrade at the wash - your staff. Use any down time to train the staff on all of the proper procedures that you want them to use. During the down time it is also a good time to get rid of the people that you know are not going to accept the changes and hire new people. I also recommend getting all your people into uniforms, I am not talking about t-shirts. Remember all the money you’re spending to upgrade your image, these people will be the face of that image to every customer. Look into nice shirts and pants that will give the image you’re going for. I also recommend using this as a time to introduce a uniform service. A uniform service will allow your employees to always be in a clean uniform and the costs are probably a lot less than you think. According to Winchester, conveyor owners and operators should consider focusing on one critical area such as wheel cleaning. “Wheel cleaning components are easy to install in existing locations, they take up a small amount of conveyor length, and improve wash quality while increasing customer satisfaction,” Winchester says. “Adding a tire shine applicator offers an additional revenue generating service and is highly desired by consumers. Investing in a spot free system can eliminate unwanted water spots from forming on the clean vehicle’s surface. old and worn out rollovers while still using existing pump stations and rail systems, according to Winchester. Self-serve operators should focus on the customer experience in the bay and at the vacuums, says Winchester.